England’s recent monopoly of the European Cup was firmly over as UEFA enforced its ban resulting in renewed optimism for the rest of Europe’s football clubs. Although Juventus had finally won their first European Cup in Brussels, the Heysel tragedy nullified any feelings of success and therefore the Italians became even more determined to win the European Cup again. The Bianconeri were drawn against surprise Serie A winners Hellas Verona early on but avoided the banana skin as they won 2-0. Barcelona were Spanish champions for the first time in 11 years and still six European Cups behind Real Madrid. Managed by Englishman Terry Venables he had a fine playmaker in Bernd Schuster with Scotsman Steve Archibald upfront. Fans’ dream final between Barca and Juve materialised at the quarter-final stage and the Catalans secured a 1-0 victory at the Camp Nou before battling to a draw in Turin to knock the holders out. By beating the defending champions Barcelona perhaps assumed they had one foot already in the final and so they suffered a 3-0 defeat to Gothenburg in the first-leg of the semi-finals. In the return leg Pichi Alonso scored a hat-trick to push the tie into extra-time. There were no further goals in the contest and Barca won 5-4 on penalties to move into their first final in 25 years. The Catalans made the short trip to Seville brimming with confidence as they predicted their first European Cup win. Venables though was concerned that his two star players were struggling with injury but both players started the final with zero impact on the proceedings. The game itself was a dull affair, devoid of chances and unsurprisingly remained 0-0 after extra-time. Steaua Bucuresti goalkeeper Helmut Ducadam proved the hero as he saved all of Barcelona’s four penalties—of the total eight penalties taken, only two were converted and the Romanians rejoiced on the streets of Bucharest. In the competition’s early rounds Real Madrid had drawn Juventus where Los Blancos won on penalties. Elsewhere Bayern Munich and Dynamo Kiev demonstrated their firepower by scoring seven goals in their quarter-final matches against Anderlecht and Besiktas respectively. Portuguese champions Porto had suffered for years as they watched Benfica steal the limelight in Europe. However Azuis e brancos were proving a match for anyone and they beat Dynamo Kiev 2-1 in both home and away matches to advance to the final. The other semi-final was a clash of the titans as Real Madrid faced Bayern Munich. Between the illustrious pair, the European Cup had been won nine times but neither club had won the competition in over 10 years. A good performance in Germany was required by Bayern before the return leg at the Bernabeu and the Bavarians delivered as they won 4-1 with powerhouse midfielder Lothar Matthaus scoring twice. In Spain Bayern avoided heavy defeat to advance to the final held in Austria. Rabah Madjer, Porto’s Algerian forward, was instrumental in Vienna as he instigated victory from a half-time losing position as the Portuguese scored twice in three late second half minutes to become European champions. A Diego Maradona-inspired Napoli had won the Scudetto the previous year resulting in Gli Azzurri’s maiden European Cup campaign but their adventure in Europe was brief as they were eliminated by Real Madrid in the tournament’s early rounds. Los Blancos then went on to knock-out holders Porto 4-2 on aggregate with wins both in Spain and Portugal. PSV Eindhoven, managed by Guus Hiddink, were sweeping all competitors aside domestically as they emphatically retained their Eredivisie league crown, scoring 117 goals in the process and they won the domestic cup competition. The Dutch club were therefore in an enviable position of winning the treble—a feat only previously achieved by Celtic and Ajax. After winning their first two ties outright, the Rood-witten won no more matches but still progressed to the final. In their quarter-final (vs Bordeaux) and semi-final (vs Real Madrid) the pattern of victory was replicated as PSV drew the away game 1-1 and 0-0 at home to advance via the away goal rule. PSV faced Benfica, who reached their first final for 20 years, in the final. The match itself was non-eventful and after 120 goalless minutes the deadlocked game was settled via penalties. In stark contrast to the penalty shoot-out debacle 12 months earlier, all 10 penalties were converted. PSV and Holland goalkeeper Hans Van Breukelen then saved the first Benfica sudden death spotkick to win. PSV’s victory commenced a memorable summer of football for the Netherlands. The early 1980s were some of AC Milan’s darkest years. Having been implicated in a gambling scandal the Italian giants were relegated by the Italian Football Association and although they returned at the first attempt, a poor showing in Serie A resulted in another relegation. The Rossoneri returned to Serie A again but in addition to on-field [problems] but club was close to bankruptcy. Italian businessman Silvio Berlusconi stepped in and bought the club in 1986. He underlined his vision for the club by purchasing Dutch stars Ruud Gullit, Marco van Basten and Frank Rijkaard but he also decided to appoint an unknown quantity as manager—Arrigo Sacchi. Although Sacchi was not a footballer he could coach given his achievements at lower level clubs and most recently Parma. Given his non-playing experience, his atypically Italian approach to football was somewhat risky in that he lacked credibility but Sacchi was backed by the infectious Berlusconi: “A jockey does not have to have been born a horse” to paraphrase Sacchi in Jonathan Wilson’s brilliant Inverting the Pyramid. Sacchi’s Milan met Red Star Belgrade in the early rounds and the Yugoslavs had a high calibre roster which included Dragan Stojković, Dejan Savićević and Robert Prosinečki. With Milan close to exiting the tournament mother nature saved the day. The Rossoneri were 2-1 down on aggregate during the second-leg match plus two men down on the night as Virdis and Ancelotti had been sent off but foggy conditions resulted in the match being abandoned. The match was replayed in full the following night and Milan prevailed after a penalty shoot-out. Milan progressed to the semi-finals where Real Madrid were lying in wait. A 1-1 draw at the Bernabeu left the tie tight poised but Milan served up one of the great semi-final performances but hammering the Spaniards 5-0 at the San Siro. Steaua Bucuresti, led by the dynamic Georghi Hagi, reached their second European Cup final in four seasons but where Barcelona failed to even come close to scoring four years earlier, Milan had no such problems as Gullit and Van Basten scored two each in a 4-0 rout. Milan’s route to a second consecutive final was anything but straight-forward as the Rossoneri narrowly edged out most of their opponents. Real Madrid had an early chance to avenge their savage semi-final elimination during the previous tournament but Milan quickly established a 2-0 lead which they never relinquished despite losing in Spain. Then against Belgians KV Mechelen, 180 minutes of football yielded no goals until Van Basten and Simone scored in the second period of extra-time to seal their passage to the semi-finals. There Milan faced Bayern Munich and in the other semi-final Marseille who possessed Chris Waddle’s guile and the predatory instincts of Jean-Pierre Papin played Benfica. Marseille took a slender 2-1 lead with then to the Stadium of Light and their game plan of defending their advantage had worked well until Vata handled the ball into the Marseille goal sending Benfica through on away goals. Milan also beat Bayern via away goals, albeit without the controversy to meet Benfica in the final. This was Benfica’s fifth attempt at winning the European Cup after winning back-to-back titles in 1961 and 1962 and Guttmann’s curse was at the forefront of the club’s mind to the extent that former star Eusebio even went to pray at Guttmann’s grave before the final to beg for forgiveness. Eusebio’s prayers went unanswered as Frank Rijkaard scored the only goal of the match as Milan became the last side to successfully defend the European Cup for almost 30 years—until Real Madrid matched the feat in 2017. Although the ban for English clubs had been lifted, English champions Liverpool were made to serve an additional 12-month ban. Ajax were also barred due to poor fan behaviour during the previous season. 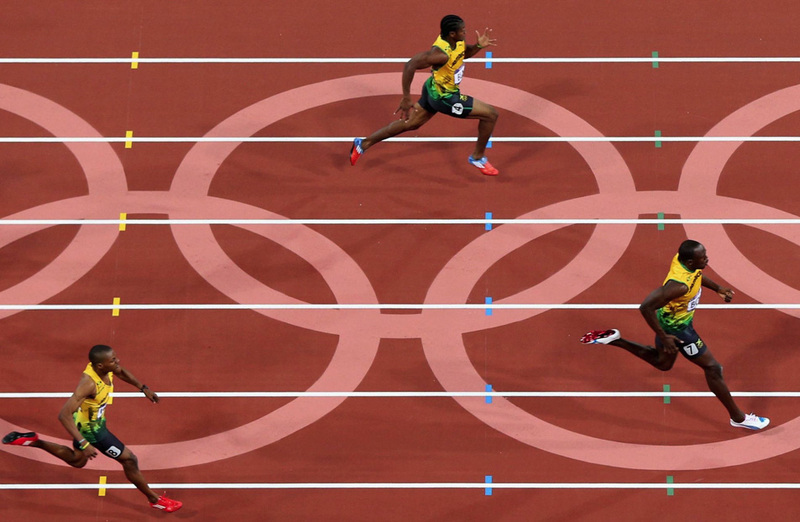 Controversy surrounded the quarter-final stage as two of the four ties were incomplete. Holders Milan had their two-year winning streak unceremoniously ended by UEFA. 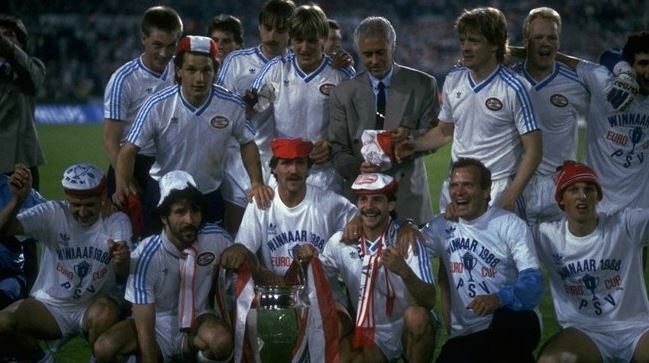 Sacchi’s side trailed Marseille 1-0 in France (2-1 on aggregate) when the floodlights failed after 88 minutes. Within 15 minutes the lights returned to working order but the Rossoneri decided against returning to the field which resulted in UEFA awarding a 3-0 victory to Marseille. Elsewhere Dynamo Dresden fans starting rioting in their match against Red Star Belgrade with the Yugoslavs 2-1 up on the night so the referee abandoned the match. UEFA displayed consistency and awarded Red Star a 3-0 win. Red Star would go on to beat Bayern Munich in a thrilling 4-3 aggregate win (the 2-1 win in Munich was Bayern’s first-ever home defeat in Europe) to set up a final against Marseille who beat Spartak Moscow comfortably. The final was a poor spectacle which remained goalless after extra-time and therefore penalties decided the winner. Red Star converted all of their spotkicks to win the European Cup. There was a significant change in the competition’s format as after the second round, the remaining eight teams would be split into two groups and the winner of each group would contest the European Cup final. This move suited the bigger clubs as they were almost guaranteed a handful of games which would maximise revenues and so the move from European Cup to Champions League was in motion. English clubs were now allowed back in Europe and following Manchester United’s Cup Winners’ Cup triumph during the previous season there was enthusiasm that the home of football could reign Europe once more. Arsenal though, reigning English champions and England’s first European Cup representatives since 1985, were humbled in the second round by Benfica. 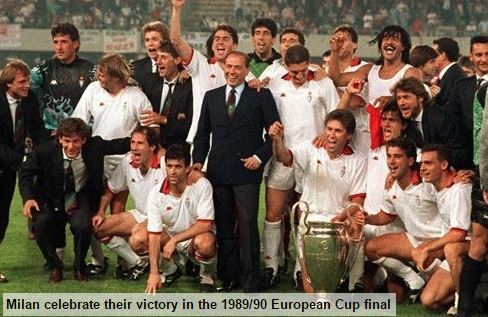 The group stages resulted in the Italian and Spanish champions being kept apart. In previous years Real Madrid had played Milan or Napoli in the earlier rounds much to the annoyance of the owners. Now the fashionable clubs were given every chance to face each other at the showpiece match of the tournament. Sampdoria and Barcelona topped their respective groups and would face each other at Wembley stadium. The Italians had an exciting three-man attack in Gianluca Vialli, Attilio Lombardo and Roberto Mancini. Barcelona, managed by the legendary Johan Cruyff, contained stars Hristo Stoichkov, Michael Laudrup and Ronald Koeman. The final despite being settled by one goal was an entertaining, end-to-end game with numerous chances for both sides. Koeman made the breakthrough with a trademark long-range winner in the second period of extra-time to give Barca its historic first European Cup win.